Cut Bank claims to be the coldest spot in the nation. 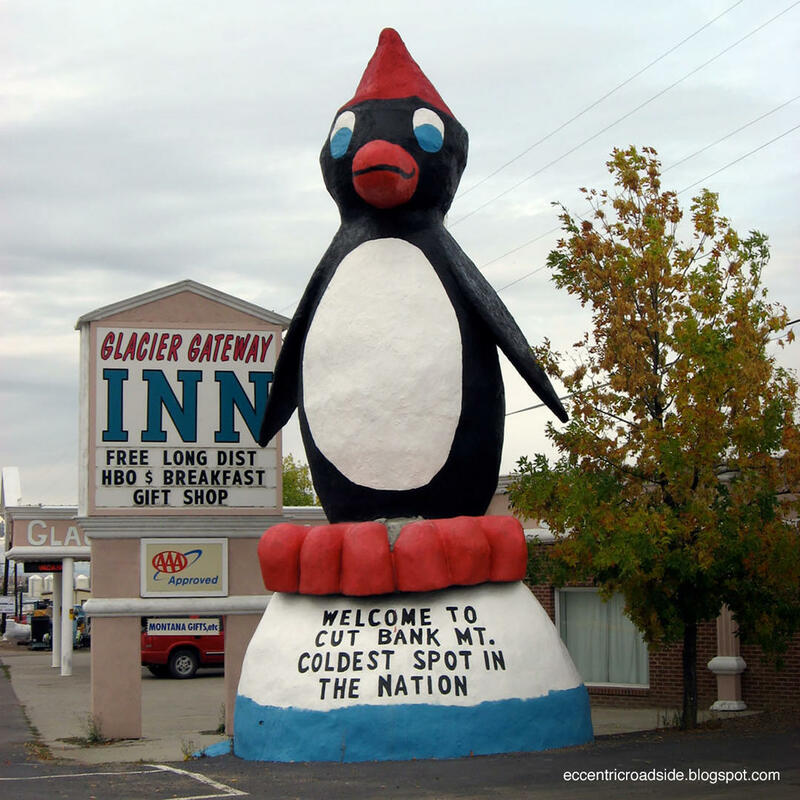 Even if the claim isn't entirely accurate, it is the coldest spot in the nation to have a giant talking penguin standing on the roadside. The concrete penguin is 27 feet tall, weighing in at 10,000 pounds, has a push button allowing you to hear some sort of recording. Don't be disappointed if the button is broken and he isn't talking on the day you visit.